The government of the Canadian province of British Columbia and the Nisga’a Nation signed an agreement today that ensures that the latter receives a share of the mineral tax revenue collected from the Brucejack Gold Mine. The project, owned and operated by Pretium Resources (NYSE:PVG), is an underground mine that has been operational since April 2017. It is located 65 kilometres north of the town of Stewart on a land package of more than 122,000 hectares. Back in March, the mine reached record production of 32,910 ounces, while overall output for the first quarter of 2018 was 75,689 ounces. Based on these results, the B.C. government believes that the revenue-sharing agreement has the potential to generate more than $8 million annually for the Nisga’a Nation. The Indigenous group has also in place a cooperation and benefits agreement with Pretium. The deal, which dates back to 2015, sets the rules for collaboration in issues regarding permitting processes. It also states that the Nisga’a Nation should receive financial and other benefits as project milestones are reached. Within the terms of that initial agreement, the Vancouver-based miner also committed to providing education and training for Nisga’a citizens, setting employment targets and ensuring Nisga’a businesses have access to contracting opportunities. “Bringing prosperity and self-reliance to the Nisga’a Nation is the first priority of Nisga’a Lisims Government,” said Eva Clayton, President of Nisga’a Lisims Government, in a media statement. 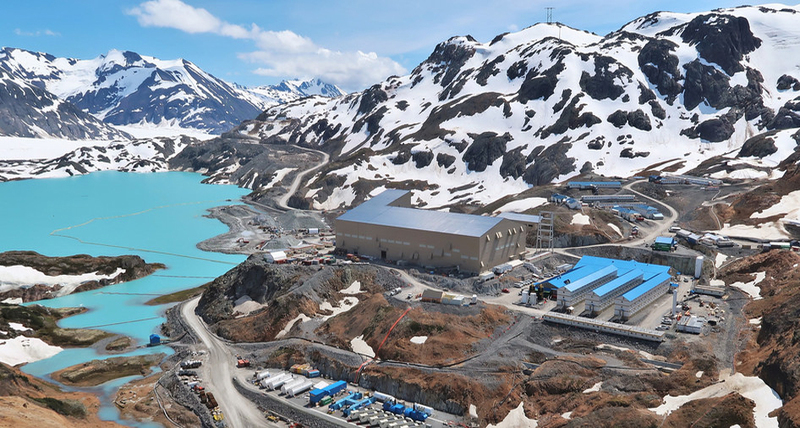 “We have developed a strong working relationship with Pretium Resources Inc., and look forward to our continued collaboration on the Brucejack Gold Mine. On this historic day, the 18th anniversary of the effective date of the Nisga’a Final Agreement, we are pleased to once again affirm the Nisga’a Nation’s government-to-government relationship with British Columbia,” she added. In the same press release, Scott Fraser, B.C. Minister of Indigenous Relations and Reconciliation, said that the agreement is a proof of his office’s commitment to a new government-to-government relationship with First Nations that, in his view, should be based on the recognition of rights, including the right to share the wealth from natural resource projects in the province.